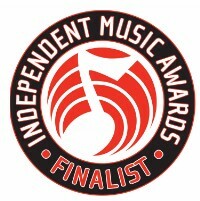 “Where Our Waters Meet” is being honored by the IMA as a Finalist for Best New Age Album of the Year 2009. Lynda’s first CD Spreading Wings was a finalist in 2007 for Best Song in the Independent Music Awards in the New Age category, as well as winning an award in the Native Spirit category in the 2007 Indian Summer Music Awards, and a finalist in the spiritual category in the Indian Summer Music Awards. Lynda’s world music cd “Where Our Waters Meet” has received frequent airplay on digital TV radio station Music Choice Soundscapes. The song “Blessed by the Thai Rose” has been rated in the top ten songs of the week several times between April and September. Where Our Waters Meet has been rated in the top 100 cds of the month played by New Age radio stations on the New Age Reporter charts every month between March and September 2008, and in the top 14 CDs of the month a couple of those months.The song Haziz is featured on XM Satellite Radio.